[caption id=”attachment_18086″ These flowers have a story to tell and I cannot get over it! It was a long day, totally of my own doing, as we had three kids, one with a fever, one who was most interested that her cousin was coming over, and one who had to go to preschool, necessitating carpooling. Add into that my propensity for not being able to stand or sit still for any length of time. 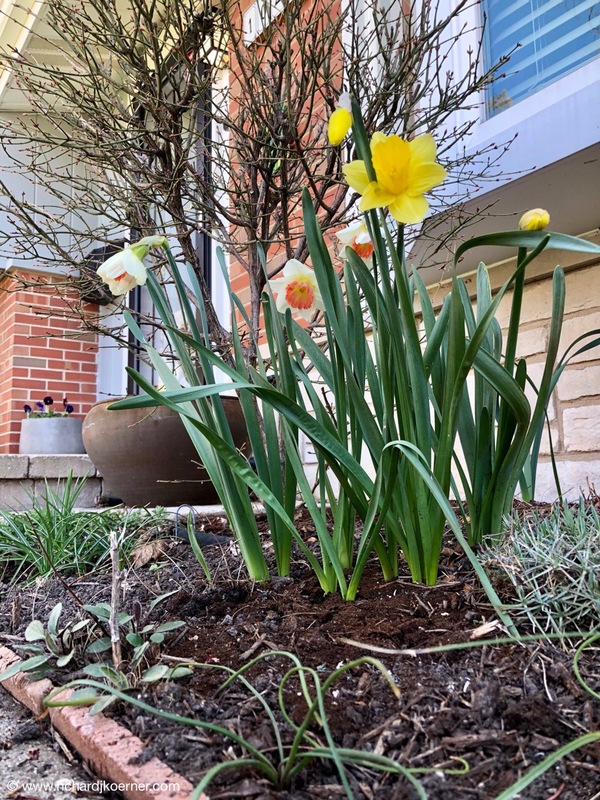 I got involved in, while watching the grandkids, all sorts of backyard necessities, from cleaning the kids’ playhouse to assuring that our new standing cold-frame would not take off in a ‘Wizard of Oz’ fashion in a Chicago storm, twirling and whirling into a tornado-like wind. A friend of mine on Facebook, Will, who lives in Virginia, sent me a message that a colleague of his, Bruce Feiler, who happened to be an intern at PBS after his graduation from Yale was coming to a local venue to talk, brought in for a fiftieth anniversary celebration for Beth Shalom Temple in Northbrook. Although rather fatigued, and needing to make myself look presentable by cutting my hair and trimming my beard, we just had to go. Bruce is a storyteller. From his talk, I would agree wholeheartedly. He talked of his findings as a writer and as a TV host and how he finds that storytelling is a tie that binds. I didn’t realize what a storyteller I happened to be, always trying to insert stories of my parents and grandparents and the trials and tribulations of their lives. The illnesses: tuberculosis, cancer; the difficulties: being poor and uneducated, working as servants and in knitting mills, being fired from the railroad for union activities, losing a home and going on welfare; the good things: being the first and only one on one side of my family to go to college, seeing the pride my family had because of it, becoming an educator instead of a blue collar worker; these are just some of the stories I share. Bruce was a fabulous provider of evening entertainment in a highly intellectual situation where I was pretty much the only one not wearing a kippah (skull cap). Everyone was welcoming and happy that we were there, as this was a celebration for the temple, but generously open to all others. I thought of my grandmother and things I never mentioned before. She would come over to my house after a three bus ride, shopping bags with her clothing and tons of bakery, or I would have a sleepover at hers. ‘Parma Ricky,’ I was affectionately called (we lived in Parma, a suburb of Cleveland). At our house, she always slept on a very comfortable couch in our basement, the rec room, by choice. I would find her in the morning, always resting and waking up with a sunny disposition. She talked of sleeping with her feet out of the sheets at times, being less hot in her bedclothes, something I find myself doing and I am guessing our sons do at times as well, not knowing that it may be in their DNA. She talked of coming over from Hungary at 19, travelling alone on a boat that left Italy, eating oranges there for the first time and taking the long trip to NYC before joining her sister, Anna, in Cleveland. She spoke of childhood antics in rural Hungary, getting together with friends and undoing the horse from the cart for the mailman, who would later come out of the bar drunk and unable to get home since his horse would run off. She was a devil, a sometimes man-hater, marrying my grandfather for the sole purpose of being ‘taken home’ to Hungary, but with the intervention of WWI that never happened and she was never to see her parents again. She had a stormy relationship with my grandfather, at one point even facing him down as he drunkenly held a gun to her. Children intervened and threw the gun into the attic area, where it was never to be seen again. As crazy as these stories are, they are few and far between, collected by me in my head and I have always wanted to share them. 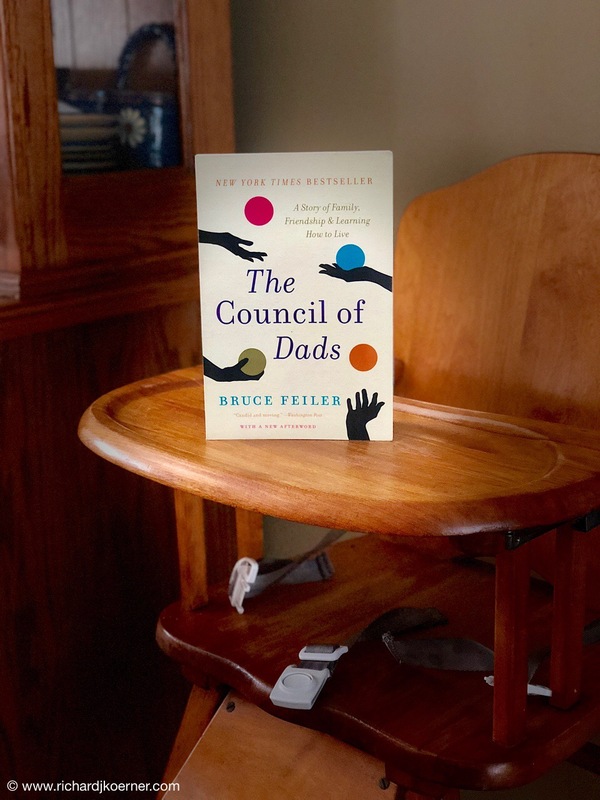 Bruce Feiler gives me reason to understand that good stories and sad stories all have a place and serve as a glue to keep families healthy and prospering. I got a little carried away today. Thank you, Will Philipp and Bruce Feiler! This entry was posted in Dreams, Education, Honey Don't List, Hungarian, Hungary, Life in general, Literature, People and their characteristics, Religion, Thoughts and philosophy. Bookmark the permalink.